Intolerance. A word that has been increasingly used to term the state of affairs in India falls well in line with this incident. Except, this time, the victim is no left wing liberal. 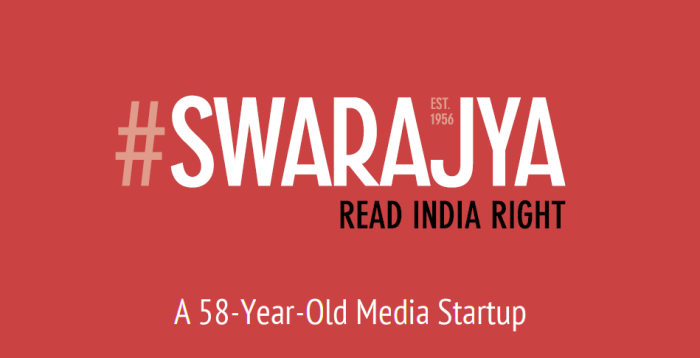 Swarajya Magazine, which encourages all to 'Read India Right', with its openly pro right-wing agenda was recently at the receiving end of things. According to their Twitter handle @SwarajyaMag, the magazine's stall at the Bangalore International Book Fair, Freedom Park was vandalised overnight. "No one was injured or hurt. Appears to have been vandalised over night. Proceeding to file a complaint with the authorities," the handle further clarified.